Star Was: Becket #1 is a one shot that stars Woody Harrelson’s character from Solo and is broken down into three chapters with a different artist handling each. It kicks off with “The Man in Black” as Beckett, Rio and Val run a scam within a scam to track down a criminal on Hovun IV. They’re trying to score some blank identification chips which leads them to an ocean chase. The art is pretty good in this opening chart, though there are some pages that are better than others. The next chapter, “To Live and Die On Hovun IV” introduces and octopus monster as Beckett manages to steal the blank ID’s. They escape off the planet, which leads to the final chapter, “You and the Bantha You Rode In On.” When they go to rendezvous with Dryden to deliver the goods, they find out it was all a double cross by Enfys Nest and her gang. They manage to escape, but without their ship and their cargo, thus ending the mission on a complete bust. Of the three artists, I liked Marc Laming’s work on “To Live and Die On Hovun IV” the best. Will Sliney comes in second with “You and the Bantha You Rode In On”, leaving Edgar Salazar as my least favorite. However, overall, the artwork was good, and the three styles worked pretty well together. It was an odd choice to break the story down into three chapters with three artists, as there really wasn’t any need for it storywise, but it worked out well enough. As for the story, it’s a fun little adventure that further highlights Beckett, his crew, and his ongoing rivalry with Enfys. The characterizations are pretty much in line with the movie, though they may have pushed the comedy factor with Beckett a bit much. Overall, though, it’s an enjoyable read. 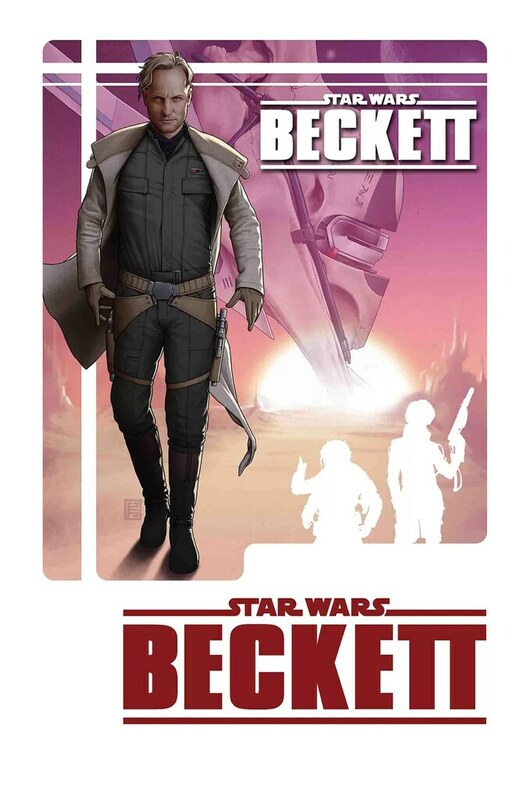 Unfortunately, with Beckett’s death in Solo, we probably won’t be getting anymore Beckett comics, which is a shame as it’s a good character and worthy of some more stories. Perhaps someday we’ll find out why he pushed Aurra Sing off a cliff, or how he met Val and Rio. Perhaps of even more interest is Enfys Nest, who we don’t really learn anything new about in this issue, but she does make a nice cameo of sorts. As is, Beckett #1 is a fun one off and worth checking out. I give it a four out of five metal bikinis.